Don't call it a comeback, it's been here for years. Just not attached to the back of your smartphone. Smartphones are great for capturing memories on the go everywhere and them sharing them with the rest of the planet, but the convenience of quick-draw and digital management still aren’t a substitute for the joy many people derive from having access to physical photographs. 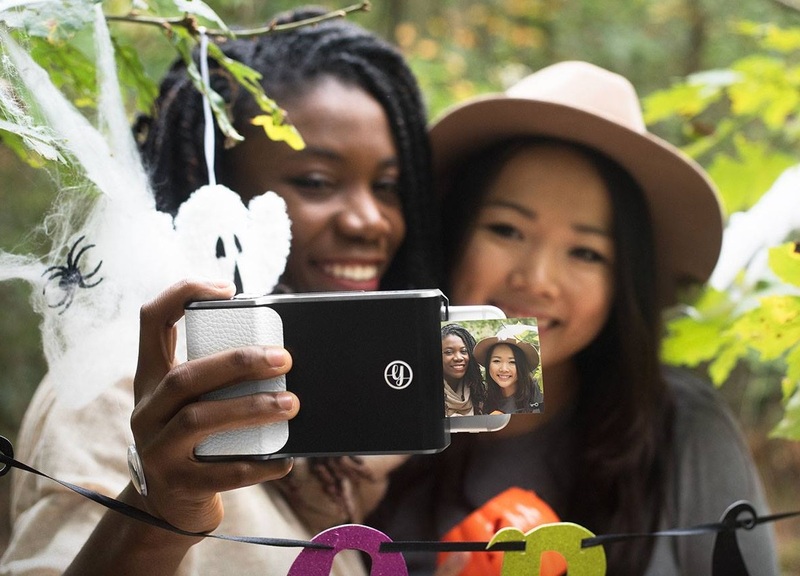 Prynt is a San Francisco-based startups trying to bridge the best of both worlds; the company offers the world’s first instant camera smartphone case for Android and iPhone devices–in other words, the smartphone case turns your smartphone into an instant camera. The cross-generational concept just earned Prynt $7 million in Series A funding this past week, bringing their funding total, since launch in 2014, to just over $9 million (their Kickstarter campaign in March of 2015 raised over $1.5 million alone). Users simply plug their phone into the case, snap a picture, and they’ll get a small physical photo printed in seconds. Immediately after taking a picture, users are able to edit them with the built-in photo editor. The accompanying app includes options to change the photo’s colors along with adding filters, frames, text, and even doodles–sort of Instagram-meets-Snapchat. The only major limitation is that the edits can only be made immediately after snapping the photo. The ZINK system works by using ink embedded in the actual paper; that means that no ink cartridges are required from the end user. The ink prints dry to the touch and is protected by a polymer overcall for water resistance, tear resistance, and image durability. More than a way to take stationary photos, Prynt also enables users to capture a short six second video that is automatically linked to the photo via the cloud. What this allows the user to do is, after a photo is printed, frame the printed pic in the screen of the app and have it “come to life”–the photo ‘plays’ as a video when looking at it through the app. The device can be found on Amazon and other retailers for $149.99. Refills of the ZINK sticker paper sell for $19.99 for a pack of 40, and extra adapters sell for $19.99 each. The cartridges are not that expensive, which is a bonus for a long term solution for a product like this. This is awesome! I have an iPhone 6S and would get a TON of use out of this in my art classes. Thanks for sharing! I wonder if there are any other plans to increase the compatibility to other phones. They ALL have microUSB, why wouldn’t it work with them? I would assume this is in the plan for expanding the business, wouldn’t you agree? Man, I have been watching this product and thought about even giving up some funds for it. What a great idea and honestly, the thing is not even that big, which would be the first CON if it were. Thanks for reminding me about this.